Our wedding is on the Heather Durham Photography blog! Lindsey and I have known each other for years through teaching fitness classes at the YMCA in Birmingham. We’re kindred spirits in that way, so I was thrilled when she asked me to capture her wedding day with my camera. I had already spent some time with she and Darren at their Engagement Session on an extremely hot and humid Alabama day, so we were thrilled with the beautiful and mild fall weather we were blessed with on their wedding day at Matthews Manor. Lindsey and Darren adore each other and it was evident all day in how they looked at each other. 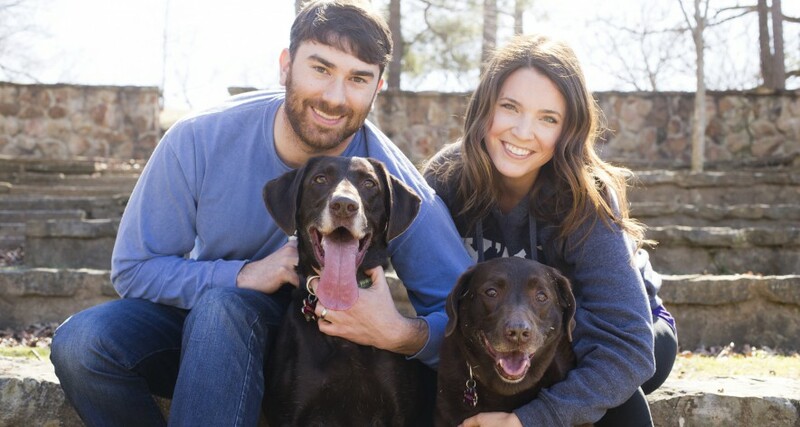 They also adore their fur babies, two beautiful chocolate labs named Emma and Bailey, who they brought along for the engagement session and also wanted included in their wedding day. Yes! After all, beloved pets are family too!